The death of a motorcyclist last weekend brought the traffic death toll this year to 356, a figure that surpassed the 355 recorded in all 2014. The number also is the highest in the past 10 years, Traffic Police reported. The average rate for road deaths in December is 30 people, therefore officials fear the new record will grow significantly. 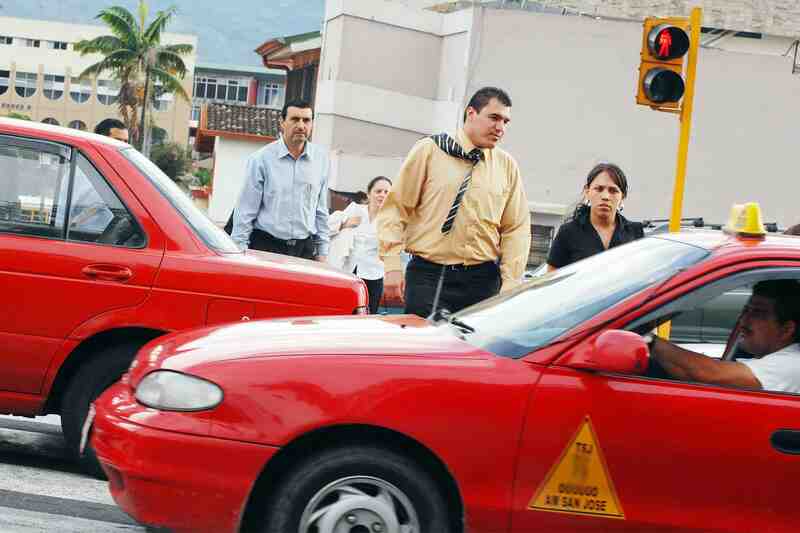 Traffic Police Director Mario Calderón Cornejo said that over the past 10 years, the number of deaths from traffic accidents only declined once, in 2012, the year the country approved a new Traffic Law that raised fines to up to $900 for certain traffic violations. Fines, however, were reduced following a ruling from the Constitutional Chamber of the Supreme Court. Justices at the time ruled in favor of complaints claiming the new fines were disproportionately high. Officials from the Roadway Safety Council (COSEVI) believe the fines should be raised again. They also want better patrolling on roads as currently the main cause of traffic deaths is irresponsible driving. COSEVI Executive Director German Valverde González said most road deaths this year are related to driver recklessness. As of Nov. 30, speeding was the main cause of accidents, resulting in the deaths of 98 drivers, followed by unsafe lane changes, which caused 64 deaths. Driving while intoxicated was the third major cause of roadway deaths, killing 23 people. Deaths from motorcycle accidents make up 40 percent of the total number, according to the report. Valverde said it is imperative to change the Traffic Law and set tougher sanctions. He also urged the government to make all necessary changes to increase the number of Traffic Police officers. Traffic Police officials agree, but say they are unable to hire more officers because of a lack of funding. Traffic Police also are concerned about the high number of pedestrians killed so far this year: the death toll through November was 63. Of those, 49 were killed because of their own recklessness, while the remaining 14 deaths were attributed to a motorist, according to Traffic Police data. Police director Calderón said that eight out of ten pedestrian fatalities are related to bad decisions and reckless behavior such as avoiding the use of pedestrian bridges or pedestrian traffic lights. Police also recorded deaths of people who were hit while walking drunk down a street, crossing on a green traffic light or in front of moving vehicles.